Fall is in the air...except in Texas where the heat index was over 100 today. OK, technically it's not autumn yet, so I'll allow it, Texas, but don't let me catch you heating up after the 21st. I love fall (when it finally gets here). September is my birthday month, fall ushers in the perfect running weather and it's about that time that everyone goes crazy about pumpkin spice! "I am familiar with all the Spice Girls...Posh, Sporty, Ginger, Scary and Baby. But which one is Pumpkin Spice and why is she so popular this time of year?" - My FB friend who I am 99.9% sure doesn't read my blog and 100% sure he wouldn't mind me sharing his humor. For the protein shake of the month, I thought it would be fitting to share my delicious pumpkin spice protein shake. You can skip the sugar-laden barista-made drink and mix up this one at home. With just five simple ingredients it is a healthy and delicious alternative. This post is sponsored by Premier Protein. I am a Premier Protein ambassador. All opinions, recipes and words are my own. This post contains affiliate links, that means if you click on a link in this post and make a purchase, I make a small percentage of the sale with no additional cost to you. No one is getting rich here, it just helps with the running (pun intended) of this blog. Thanks, as always, for your support. I had a conversation over on Instagram about pumpkin puree. I noticed that all the pumpkin recipes used pumpkin puree, but none of the canned pumpkin in the store said the words "puree" on them. Was I supposed to a puree an actual pumpkin? Because if so, that sounds like way too much work. Luckily for me, I was told as long as the canned pumpkin is not pumpkin pie filling, then we're good. I never said I was a foodie. Good thing hubby is the cook in the family. I mixed all the ingredients in my Nutribullet. I started with about half of the vanilla protein shake, but it tasted too pumpkin-y. Is that possible? So I slowly added additional vanilla protein shake until I got the flavor balance I wanted. It was so freakin' delicious. It tasted like drinking a pumpkin pie. I immediately wished I had a little whipped cream to top it off! Welcome to the latest edition of Tuesday Tails Furry Feature when I introduce you to the best four-legged runners on the internet! This week I am publishing on the tail-end of Tuesday (pun intended). I am thrilled to introduce you to Egon, Rae and their favorite human, Vivi! Hi, Vivi. Tell us a little bit about your favorite running partners? My running partners Egon and Rae are both German Shorthaired Pointers. We mostly run through our neighborhood since we know the route and areas to avoid for other dogs. We also venture for fun to the University of Miami, but there we encounter squirrels and ducks, so it's a fun time! Egon has run with me in two virtual half marathons. I wish it would be real half marathons, but haven't found a street race that allows dogs. I have ran a family-friendly 5K with Egon and Rae and my son. The first time I ran 13.1 with Egon was truly exceptional! Egon was about two years old, my husband had gotten his two year cancer-free notice and it was time to finally have a semblance of peace. 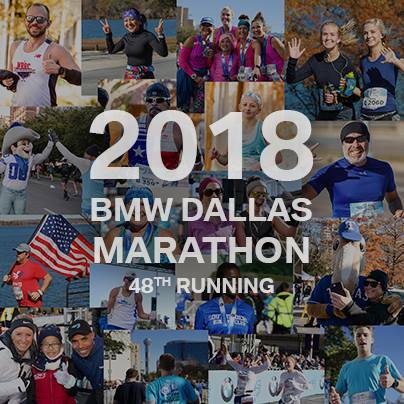 I wanted to share my excitement and my best friend with my running community so I figured, why not! He has energy to out-do me. We ran it in April at dusk and looped two miles for water to make sure he didn't overheat. We finished n 2:05! Rae has run up to 11 miles but I'm waiting for the Miami weather to cool to finally take her to 13.1 glory! Rae is much more petite than Egon. If Rae feels a little threatened (mostly people riding on a bike or a loud bus), he will hide, literally, under Egon. There is so much I take from my dogs every single day. First, you never say no to a good time with family! It doesn't matter the time of day, I say 'let's go run" and they are so excited! Second, they never worry about "what do I need to do next!" As a busy mom, I'm always worried about school, kids, my job, etc. and my brain runs faster than my body can keep up. Dogs focus on the now, what can I sniff at, where are the lizards? Finally, when they just gotta let out their frustration, they let go, kick up grass and keep going! My dogs are my inspiration for my running and getting up early. They do so much more for me than I can ever repay in a lifetime. I wanted this year for the runs to mean more. They have such an amazing life and it hurts that other dogs can't. I signed up for the 2017 NYC Marathon through the ASPCA. I want to inspire my running community to share in the love of dogs especially when you combine them together! In light of the Hurricanes, the ASPCA helps with animals in need. Sadly, Miami has the barrel of a gun pointed at us, so Team VivEgonRae may be on a training hiatus, but we will kick up the grass and keep going to NYC! I would love to share our story and if people want to help, all pennies through this mechanism go to the ASPCA (not a third party vendor)! Thank you for the feature! 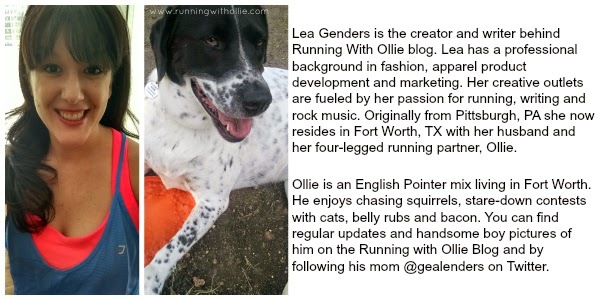 If we can inspire one runner out there to be joined by a four-legged BFF, then our work here is done! You can follow Vivi, Egon and Rae on Instagram. If you would like to donate to team VivEgonRae benefitting the ASPCA you can do it here! I hope you are all safe from the storms Vivi! Update us to let us know.